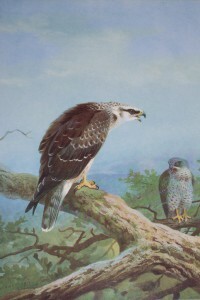 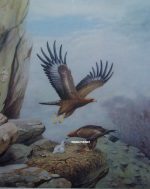 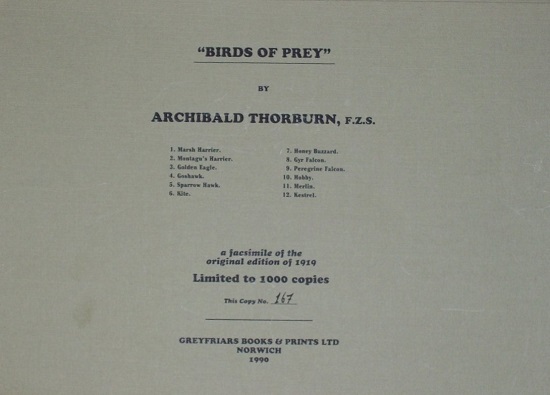 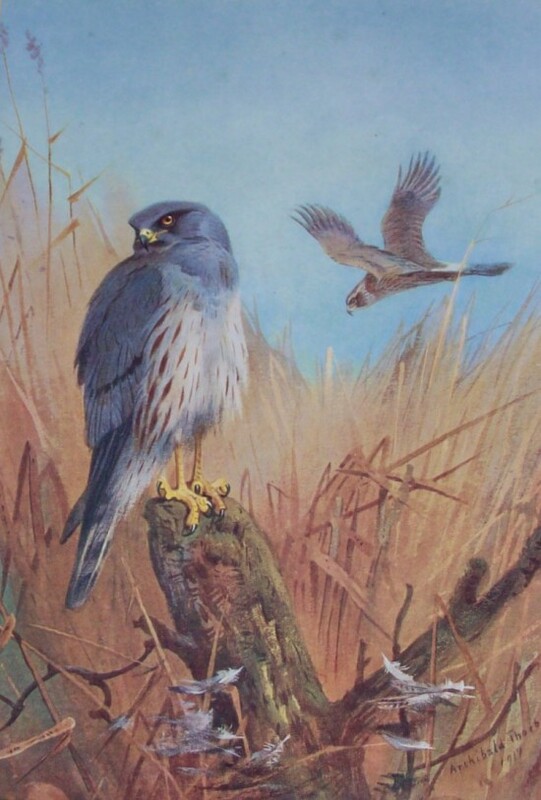 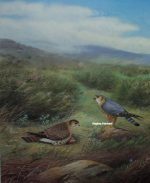 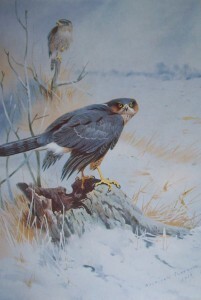 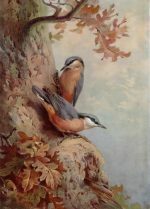 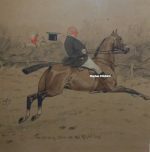 Re-published in 1990, the Archibald Thorburn Birds of Prey prints portfolio contains a facsimile of the original edition by W. T. Embleton of 1919. 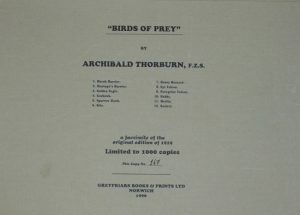 It includes, title page of 1990, title page of 1919, 2 leaf preface, limitation leaf, plate list leaf, (12) leaves of text to accompany the plates, 12 plates (all coloured with facsimile publishers mark and Archibald Thorburn signatures), all loose and housed in a lime green card portfolio, titles in black ink to upper cover, and edition limited to 1000 copies of which this is number 167, the plate leaves are folio, 36 x 25.5 cms, with the image being 25*17 cms, with a publishers note stating that “The materials used for the production of this facsimile are the modern day equivalents of those used in the original edition”. 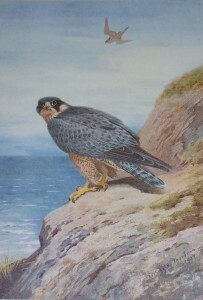 Excellent condition and only £20 per print. 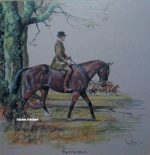 Sadly, its only available as the portfolio and not individual prints.